petitie: Demand an end to destruction of Kelvin River WildLife corridor now! Demand an end to destruction of Kelvin River WildLife corridor now! Last month contractors almost destroyed the important Kelvin River Green Corridor forever. It is important habitat and feeding ground for a wide variety of wild animals, including otters, bats, water voles and King Fishers. The destruction only stopped when concerned members of the public stood in front of the bulldozer forcing contractors to stop. Now the developers want to complete the damage in their new building application. Last week we found out that they could not build their previous 2015 consented buildings because of climate change law and engineering problems (they wanted to build on the river bank). However the developers had all along been misleading the public about this, threatening to build the arguably more damaging project if they did not get the new application passed. The developers have known since early 2018 they could not build, therefore the destruction they wreaked on the wildlife corridor, which lies in a conservation area and is protected by law (CDP7, SG7) was done both wrecklessly and needlessly. We demand and end to this wanton and illegal destruction of important and precious habitat. We demand lasting protection of the Kelvin River Green Corridor. We demand transparency and impartiality in the law that allows damaging work like this to happen. We demand that those caught committing illegal destruction of wildlife habitat be brought to justice. The Kelvin River Green Corridor is a vital link between Kelvingrove Park and the Glasgow Botanic Gardens. It has meant that protected species such as otters have been able to thrive along the river bank, as well as bats and a large variety of birds and insects. 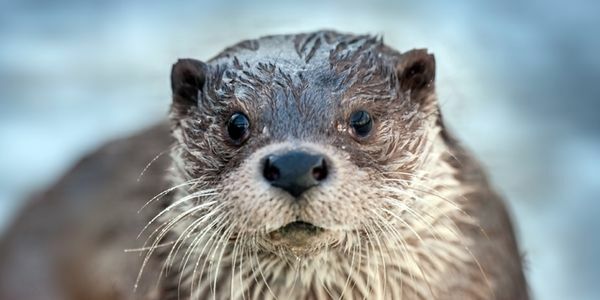 The removal of the Green Corridor would spell the end of this important connectivity and threaten those species which use it, such as the otters. The destruction of the Green Corridor, accepted as an entity by Glasgow City Council, is only part of a catalogue of destructive, insensitive activities committed by development company, Queesnberry Properties and the previous owner, Hugh Scott. As well as destroying valuable wildlife habitat, the developer used contractors to physically and verbally intimidate the local community living and working on Otago Lane - adjacent to the corridor, and used 24 2 ton concrete blocks to constrict their access to their place of work. Queenberry plans to build up to 49 dwellings, which would mean the complete destruction of the green corridor, unless we can force them to behave with more respect and sympathy for the environment and the community. Thanks for signing! Please donate to our fundraiser so we can employ a lawyer to defend the wildlife corridor. Click here!. Thank you for all your support. Over 20,000 is massive statement of will by the local and global community. However, on Thursday and Friday work recommenced despite the petition being presented and the efforts of demonstrators. We have realised that we must raise the stakes and fight this in the courts but this is expensive, but with your help we can achieve this. Any amount great or small will be used to the maximum effect. Lets win this.